Our club of military history MÚZEUM PETRŽALSKÉHO OPEVNENIA (MPO) is an open, apolitical and voluntary association of fans of military history, bunkers, weapons and vehicles. The club of military history MPO is a civil association, registered from 2011 at the Slovak Department of Home Affairs. The club of military history MPO does not support or promote racism, religious or political discrimination. Our club does not sympathize with organisations, groups or persons, which sympathize, support or propagate racism, religious, political and other discrimination or violence. 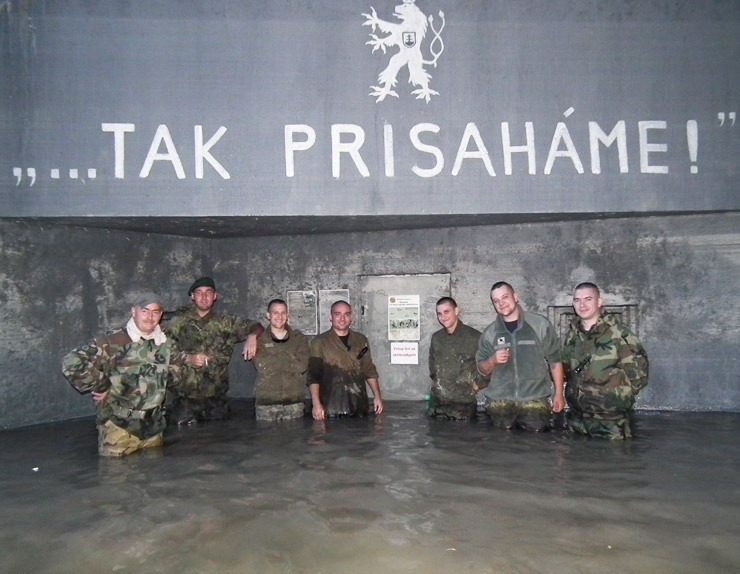 The main goal of our club is reconstruction of Czechoslovak fortification near Bratislava (Slovakia), and open five of the bunkers in form of museum. We also organise events, on which we reenact historic battles, organise expositions of military weapons, vehicles or other related activities regarding military history, organise historical battle reenactment, shows and exhibitons in which we use uniforms, weapons and other items, in original condition, including symbols and other insignia. It is important to understand that this website is not dedicated and does not support racism, any religious or political discrimination or violence’ and does not glorify war. This website is dedicated to the history of 1. democratic Czechoslovak republic, famous Czechoslovak fortification and the events short before II. World War.